After wearing embroidery heavy clothes for wedding functions, you need a break. This is when breezy outfits and silhouettes come in. Bring your breezy clothes and let your skin breathe for a while! Why not? There’s nothing strange in wearing a chic embroidered pant suit that is not too formal, but a perfect fit for a fine evening. Just in case you can’t ditch sarees, go for contemporary ones. Contemporary sarees not only save you from the weight of heavy saris, they also make you stand out in a crowd. Just pair it with the right accessories. 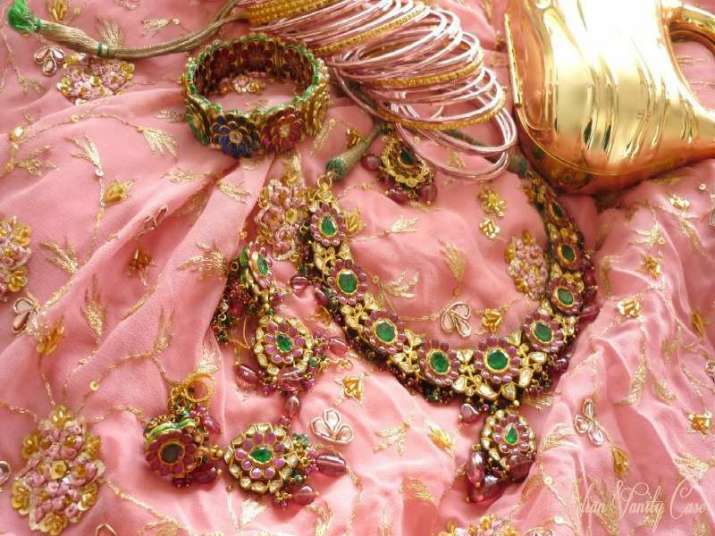 Make your collection a mix of ethnic and boho chic because you need the right jewellery with the right outfit. A pant suit paired with an ethnic choker will look better than wearing it with no accessories.